This adults-only resort is located on more than half a mile stretch of the Playa del Secreto white-sand beach. Translating into “the secret beach,” this is the perfect place to let your worries go and enjoy your destination wedding with your guests. 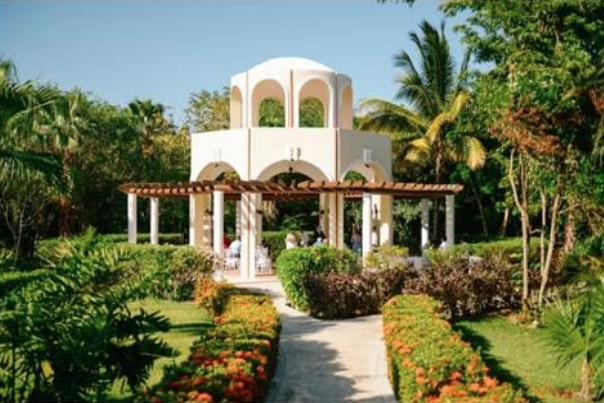 The property design is influenced by the Mexican hacienda style, including touches of rich decor through the tropical vegetation, making it the perfect place to host your destination wedding. With elegant and traditional marble and granite against the multiple fountains throughout the property, the luxurious ambiance of the hotel will make you feel like royalty during the entire stay of your wedding. A great place for adventurous eaters with 8 internationally themed restaurants with 11 bars all with top-shelf liquor options. All guest rooms include outside space, and the giant main pool includes a lazy river. There is not a buffet option to choose from, there are only the a la carte restaurants. The base price for this package is $1886. There is a complimentary package available for up to 16 guests only when you book a minimum of 8 Emerald Jr. Suite category rooms for a minimum of 4 nights. Upgraded packages, additional guests, and add-ons are available for an additional cost. 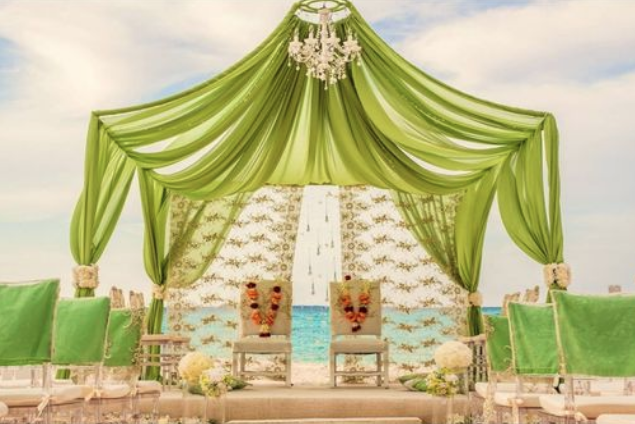 Beach – 150 guests max, Gazebo – 100 guests max, Chapel – 60 guests max, Bridge – 20 guests max. The resort will host no more than 3 weddings per day, Monday thru Saturday. Ceremonies can be held on Sundays, but with additional fees. The resort will not host weddings at the same time, and will have a minimum of a 2 hour break between ceremonies. Rooms range from $180 – $260 per person per night. Every room includes free wifi and a minibar. The deluxe, silver, and golden junior suite room categories are the only to offer the choice of 1 king bed or 2 double beds. All other room categories only offer 1 king size bed. There are 524 total guest rooms with views of the lagoon, pool, garden, or Caribbean Sea. Beachfront rooms are also available. The guest rooms are spread between 2 – 3 story villas. Connecting rooms are available upon request, and the entire resort is handicap accessible, offering wheelchair rentals if needed as well. High-season months typically include January, May, June, July, November, and December. It is always encouraged to have your guests book their stay 6 – 12 months in advance. Guest rooms will allow up to 3 adults max. Valentin Imperial Riviera Maya is located about 22 miles from the CUN airport. The resort is about 20 minutes outside of downtown Playa del Carmen, and 30 minutes outside of downtown Cancun. Valentin Imperial Riviera Maya is located 22 miles from the CUN airport. The resort is about 20 minutes outside of downtown Playa del Carmen, and 30 minutes outside of downtown Cancun. 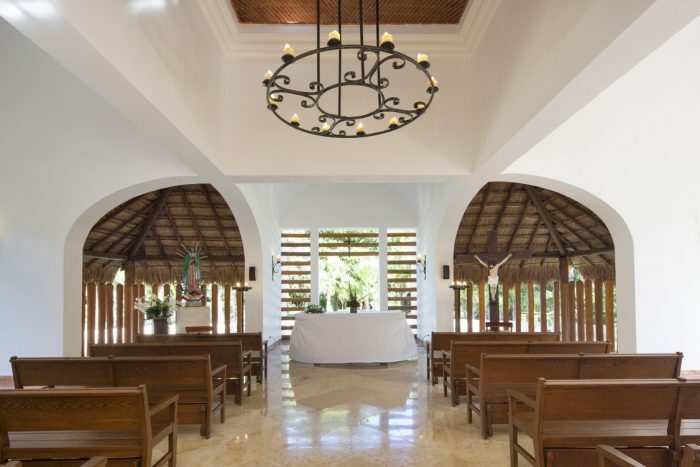 Q: What makes Valentin Imperial Riviera Maya such a great place for a destination wedding? A: Valentin Imperial Riviera Maya is the ideal luxury resort adults only with different private venues and options to create the wedding of their dreams. 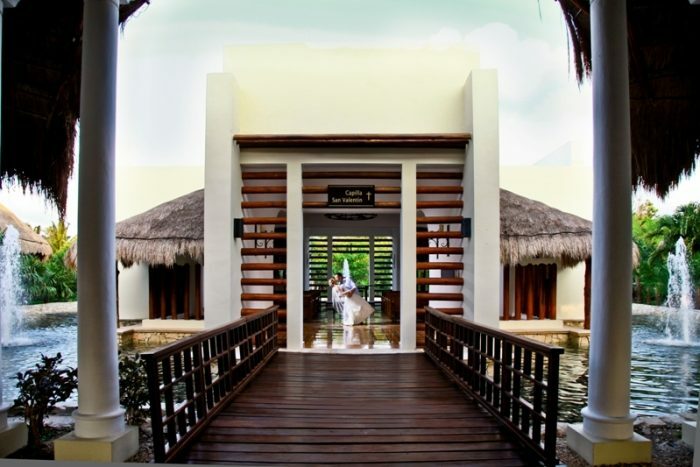 Q: What compliments do brides typically give about Valentin Imperial Riviera Maya? A: The speedy reply from the wedding coordinators to their requests. A: I love watching the exchange of vows between the couple and their first dance as spouses.